Large knobs to grasp and hold. Complete Instrument Guide DVD included. Top-quality instruments with wonderful tone and resonance. Large knobs are easier to grasp and hold. 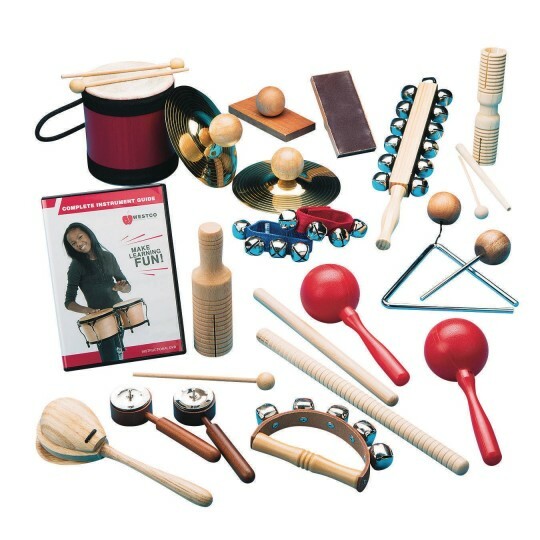 Each set also includes a Complete Instrument Guide DVD. Great activity that can involve a large group. Deciding on a song was the only minor glitch we experienced so our folks learned to take turns. Items seem to be durable and will last for many many jam sessions for the band. 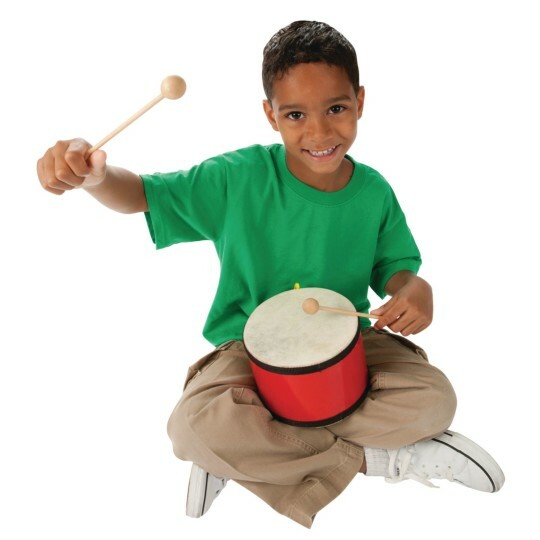 Great variety of musical instruments - offers lots of choices for individual preference. Our population loves music and to make their OWN music is a dream come true. Great product!! Music Therapy Music Group Great to have adult clients with Mental Illness practice listening skills task type skills problem solving skills interpersonal and socialization skills. It also gives other an opportunity to learn a new skill have fun and overall work together. I love this rythm set! I use it at the Assisted Living Facility I work at and the residents love being interactive with our outside entertainment. Every Friday afternoon we have a social hour and bring in singers and the residents love joining in with the instruments and our singers love it to. Its a lot of fun!